The event is designed to encourage local residents to give, while transforming the way they think about and contribute to Brown County charities. Through the generosity of 1,718 donors, last year’s event raised $805,610 to support 31 nonprofits. This year, the Packers Foundation has again provided a $250,000 impact grant to create a matching pool of funds, and Bellin Health, Janet and Charlie Lieb and the J. J. Keller Foundation have provided additional matching funds and incentives, resulting in a total of $312,500 in matching funds and incentives – a $97,500 increase over last year. During Give BIG Green Bay, people everywhere can donate to support the work of any of the 40 local organizations by visiting giveBIGgreenbay.org. This online giving platform makes it easy to contribute any amount to make a BIG difference in Brown County. 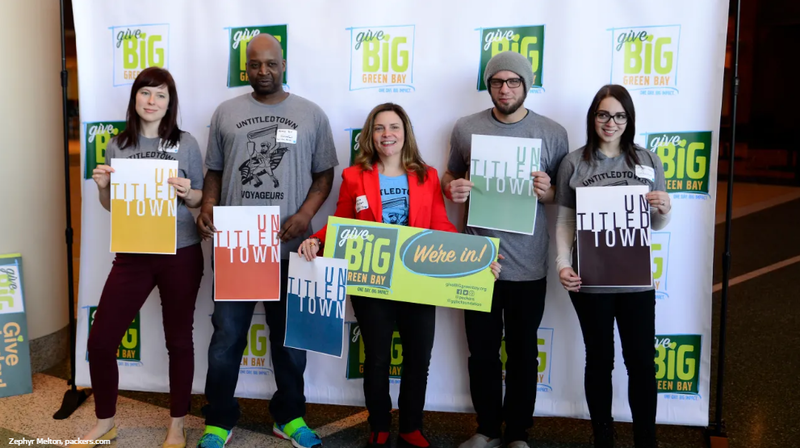 The Give BIG Green Bay team will work closely with participating nonprofits using social, print and broadcast media to create awareness about this exciting 24-hour event. Additionally, participating nonprofits will rally their supporters to amplify the impact. For more information on Give BIG Green Bay, and to see the complete list of 2019 Nonprofit Partners, Please Click Here.